Make: Day was a huge success! 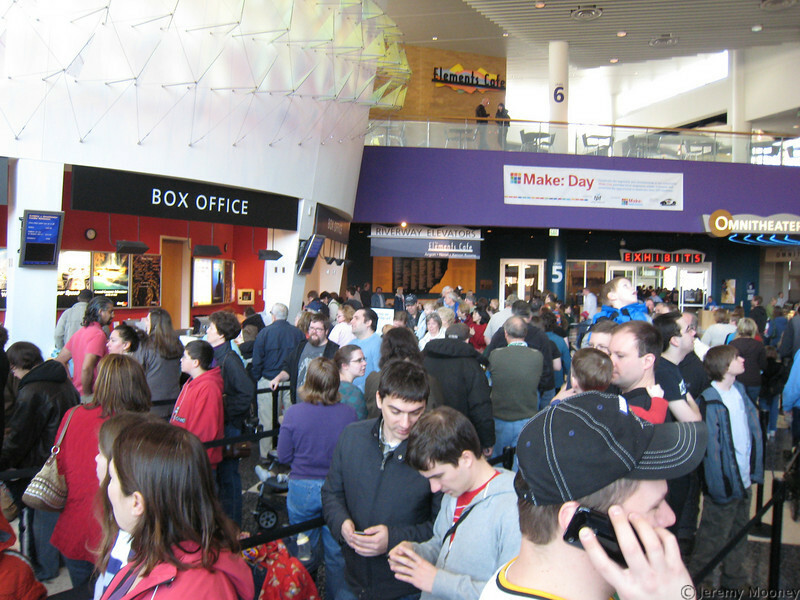 With the aid of over 25 Makers from the Twin Cities area, and thousands more families and Maker enthusiasts, we took over the Science Museum of Minnesota in downtown St. Paul on Saturday. Make: Day was emceed by Make: magazine contributor and Make: television Technical Advisor, Bill Gurstelle, and other festivities included some awesome music performances, great demos, and tons of amazing projects. Check out our Make: television’s Flickr pool for some of the early returns, and if you came out to Make: Day we’d love to see your pictures or hear your stories! We’ll have more updates throughout the week on the nitty-gritty that went down throughout the day, so check back for more. For now, check out Make: television‘s flick pool for the early returns. Thanks to our gracious Maker Workshop host, John Park, for flying out from California, as well as Geek Squad, and the amazing Science Museum of MN staff for making it such a great event!